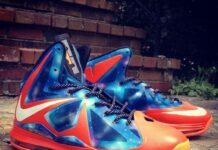 After the Nike LeBron IX (9) “What The 90’s,” custom sneaker artist District Customs decided to go back in time for LeBron’s tenth signature kicks. 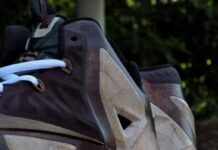 For this LeBron X (10), DC decked this pair out in an all-60’s theme. 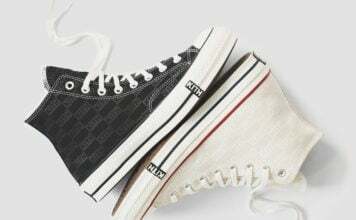 Appearances by Jimi Hendrix, The Beatles and the Flintstones on the inner sides of the kicks while the Twilight Zone and tie dye got the entire toebox. 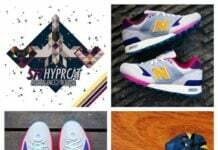 Piet Mondrian, the paisley pattern and a few other intricate details finish off a masterpiece thanks to this team kickasso member. 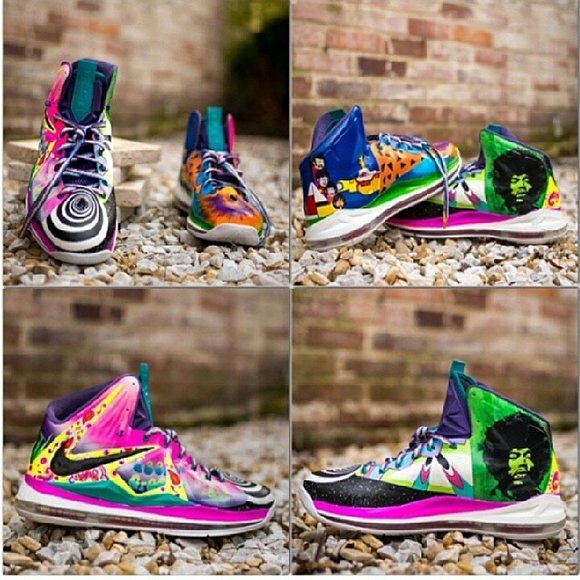 How do you feel about the LeBron X (10) “What The 60’s” custom by District Customs? Tell us in the comments section below and stay tuned to Sneakerfiles for everything kicks!